What a show! That was the general reaction among the visitors to the 45th Retromobile, held in Paris from February 5th to 10th. This Parisian show has grown in recent years, achieving a level of undisputed excellence, but the quality and the quantity of the cars on display this year saw the event taking its place as Europe’s most refined classic car trade show. 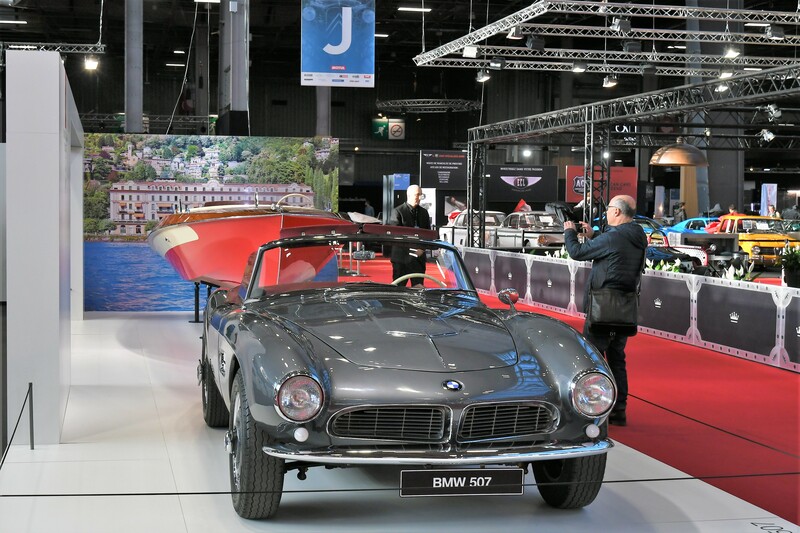 Reinforcing a trend that has been emerging over the past three years, Retromobile sent out some clear and important messages to the world’s most important collectors. 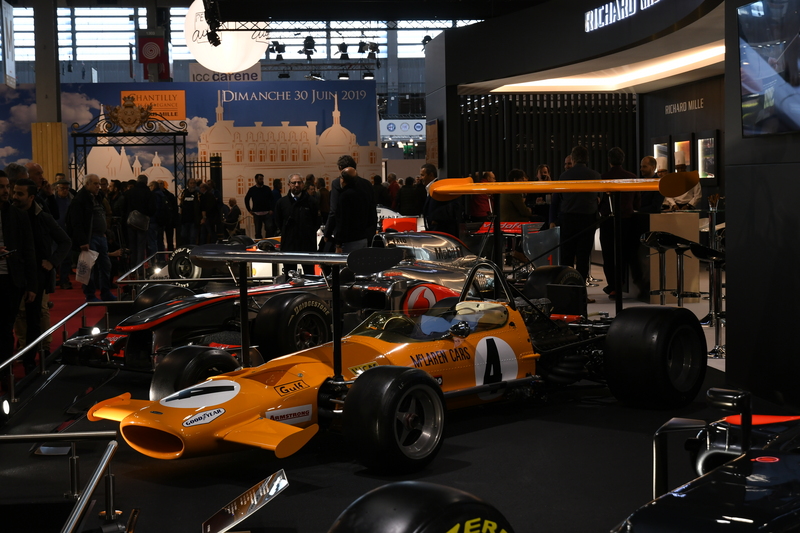 To underline the growing importance now attached to brand heritage, several manufacturers were represented at Retromobile by their heritage departments. 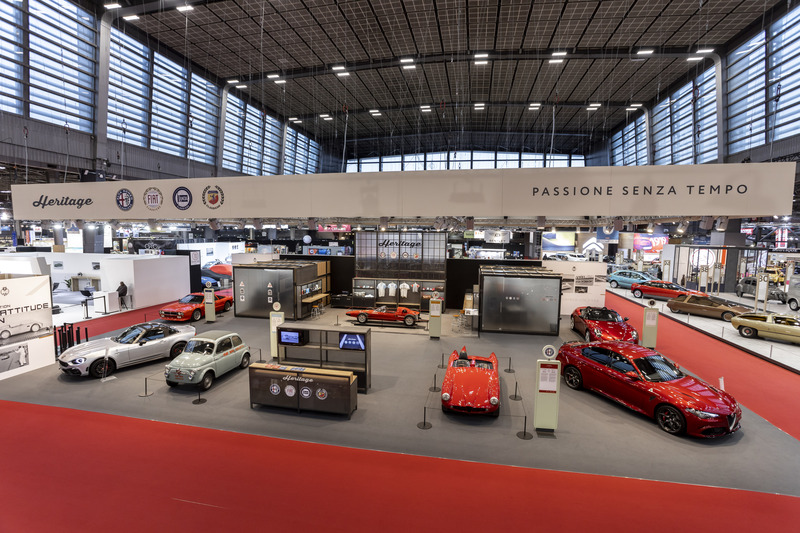 FCA, whose heritage department brings together Abarth, Alfa Romeo, Fiat and Lancia, highlighted the 70th anniversary of the founding of Abarth by exhibiting the very first, of a long series, of Fiat 500s “pimped” by Abarth. The car in question, which Fiat had entrusted to Abarth, was returned to Fiat at the end of its “development duty”, to be used as a normal company car. The car went on to have several resprays, with the result that, over time, its true identity became “masked”. Eventually, however, when its historical value came to light, Fiat restored it with great attention to detail. Despite its rather small stand, Bugatti took Retromobile by storm, showing a pre-war 35, a modern engine and a 1991 EB110. This latter exhibit was a real surprise as it marks the very first time that the firm (since 1998 part of Volkswagen Group) has drawn attention to its links with the “Artioli” period (1987–1995). Lamborghini, represented by its Polo Storico department, displayed a 1972 Miura SV (chassis #3673), fresh from a 3600-hour restoration, “delivering” it during the event itself to its owner, Mr Jean Todt (current FIA President and, until quite recently, Ferrari “Gestione Sportiva” director). Before a packed room, Lamborghini CEO Stefano Domenicali handed the key to a clearly delighted Todt. The Lamborghini stand also featured a Canadian-owned 1966 400 GT (chassis #0592), which is currently under restoration. 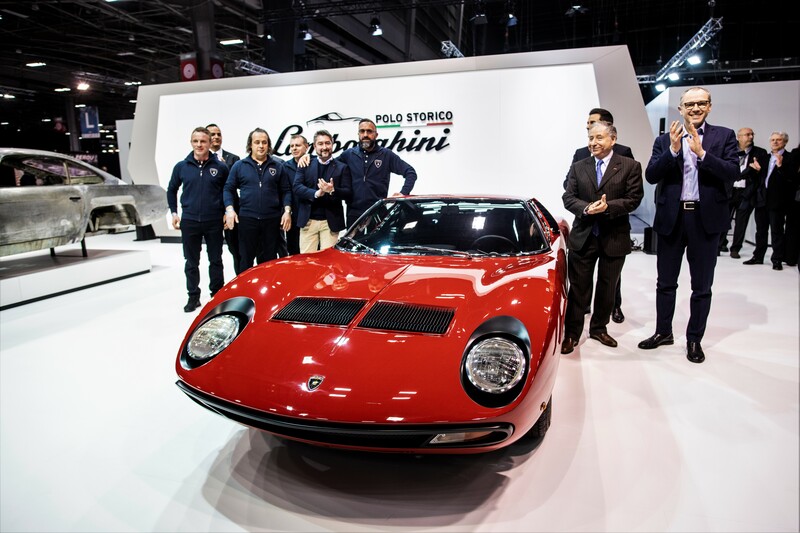 FIA President Jean Todt received from Lamborghini CEO, Stefano Domenicali, his perfectly restored Miura. A job done by Lamborghini Polo Storico. Bentley, also celebrating its 100th birthday, showed the oldest surviving car manufactured by the firm, which is usually kept safely tucked away in its Crewe factory museum. It is EXP (i.e. experimental) chassis #2, built in 1919 and used to develop what, in 1921, would be launched as the Bentley 3 liter. Renault, like Citroen, was present with a large exhibition space that in this case also made room — an original idea — for cars not currently part of the collectors’ world. 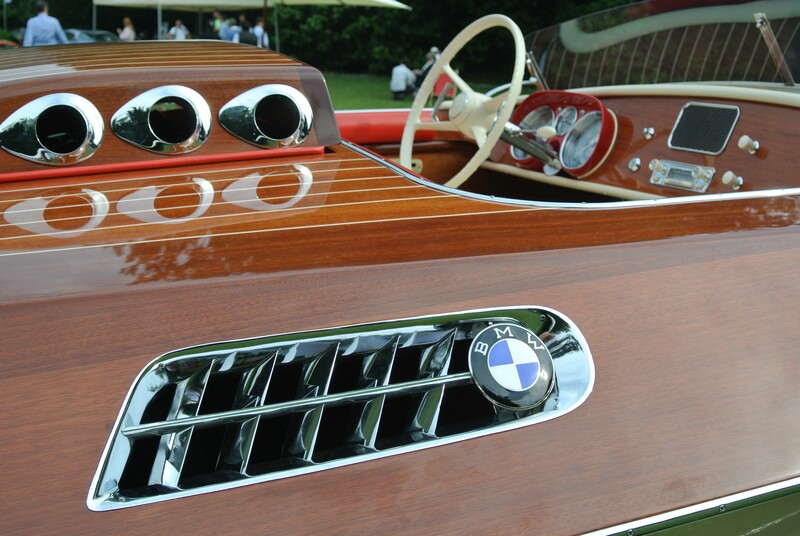 Finally, BMW brought along a 507, enhanced by the wooden runabout parked behind it, which was built, in the 1950s, using 507 engines: a very unusual and refined display. The show’s most photographed “car” was probably the one that was, by far, also its biggest, and it is certainly not the kind of vehicle that immediately springs to mind when you think of a classic car. Ever since the 1930s discovery of oil reserves in the desert, men have needed special tools and machines to allow them to work in this most challenging of environments. And this need led to the creation of some incredible machines. A prominent one was the Berliet T100, so called to indicate its total possible weight when fully loaded. 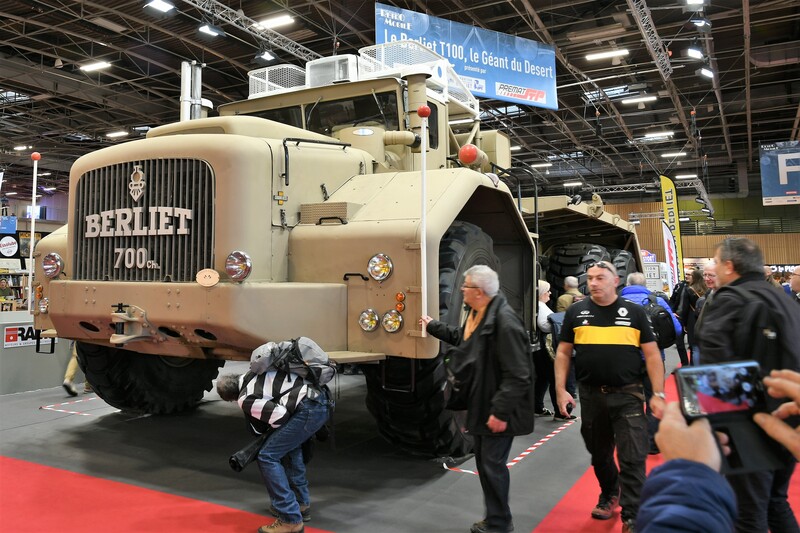 Designed to meet the need to transport loads of 50 to 60 tons on sandy desert dunes, the Berliet T100 was launched at the Paris Motor Show in fall 1957. Measuring 15 meters in length and five meters both in height and in width, and equipped with tires (Michelin) taller than an adult man, it was, back then, the biggest truck in the world. It has a 29-liter Cummins twin turbo V12 engine, capable of delivering around 600 HP, paired with a Clark four-speed automatic transmission with four reverse gears, disc brakes and front hydraulic suspension. Only four specimens were built, each one different, and today only two survive. The one shown at Retromobile is chassis #2, built in 1958, which has a more powerful 700 HP engine on account of its more vertical camshaft. It was originally shipped to the Sahara Desert to be used in oil prospection work. It has been owned and shown by the Berliet Foundation in Lyon (France) since 1981 and 1984, respectively. Special transport was needed to get it to Paris for the show. Still on the subject of “excessive” vehicles, the late 1960s brought the invention of wings. These were mounted on wheel hubs and raised as much as possible to allow a smooth air flow. But this practice was madness, with wings liable to bend, fall off and cause accidents. However, it was a short-lived craze, lasting just a few races before these appendages were banned for safety reasons. The McLaren on show at Retromobile is a rare and interesting reminder of it. But how about this for a story: during the practice runs on the Thursday before the 1969 Monte Carlo Grand Prix, all the cars ran with double wings, front and rear, and obtained times far better than the previous year’s pole position time of 1’28”2. The following day, FIA announced the ban on wings, and on the Saturday all the cars turned out on the track without any aerodynamic assistance at all. And would you believe it? They did even faster times than on the Friday, and a new track record of 1’24”6 was set! It just goes to show that trends can cloud your thinking!